The film world grieves today. Award-winning journalist, critic, screenwriter, and intellectual Roger Ebert passed away this morning after a very long battle with cancer, leaving behind him a journalistic legacy that spans 45 years. The first film critic to win the Pulitzer Prize, he spoke his mind fully and was known as one of the most influential people visible in pop culture. Ebert was born in Urbana, Illinois, and began his journalistic career in 1967 as the movie critic for the Chicago Sun-Times. In 1975, he teamed up with Gene Siskel of the Chicago Tribune to create Sneak Previews, a television show in which Siskel and Ebert discussed an often argued about movies. They became known for their “thumbs up”/”thumbs down” method of reviewing movies, and created the phrase “two thumbs up” to label a movie that they both enjoyed. Today, it has entered the standard lexicon and is trademarked. Siskel and Ebert review Taxi Driver. Sneak Previews initially aired on PBS, but soon Siskel and Ebert began signing deals with other companies and Siskel and Ebert became household names with a new program entitled Siskel and Ebert and the Movies. After Gene Siskel’s death in 1999, Roger Ebert became the sole host of the show, later joined by Richard Roeper and the program was re-titled to At the Movies with Ebert and Roeper. 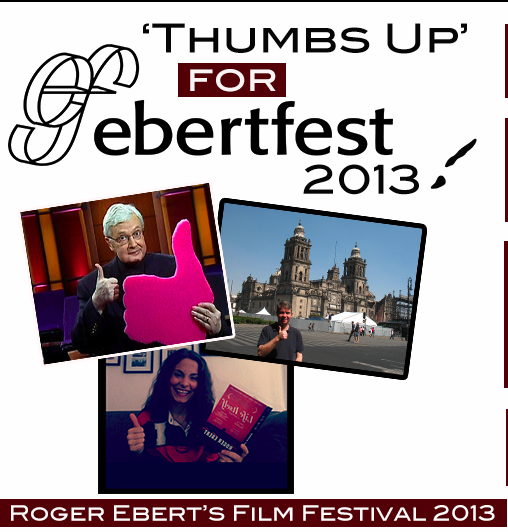 Ebert’s popularity was so great with the public that in 1998 Ebertfest, a film festival in his honor, began in Champaign, Illinois. The festival celebrates its 15th year in 2013, held between April 17 and 21 of this year. Ebert’s voice was altered slightly after undergoing surgery for thyroid cancer in 2002, but after several follow-up surgeries on his salivary glands it became clear that his voice could not be preserved. He lost his ability to speak in 2006, and communicated through a voice on his laptop and through writing. As he was now unable to continue hosting television shows, he turned to the internet. Ebert continued his work as an online critic, gaining a significant following on social media where he often used the platform to express opinions on topics such as politics, food, and life. 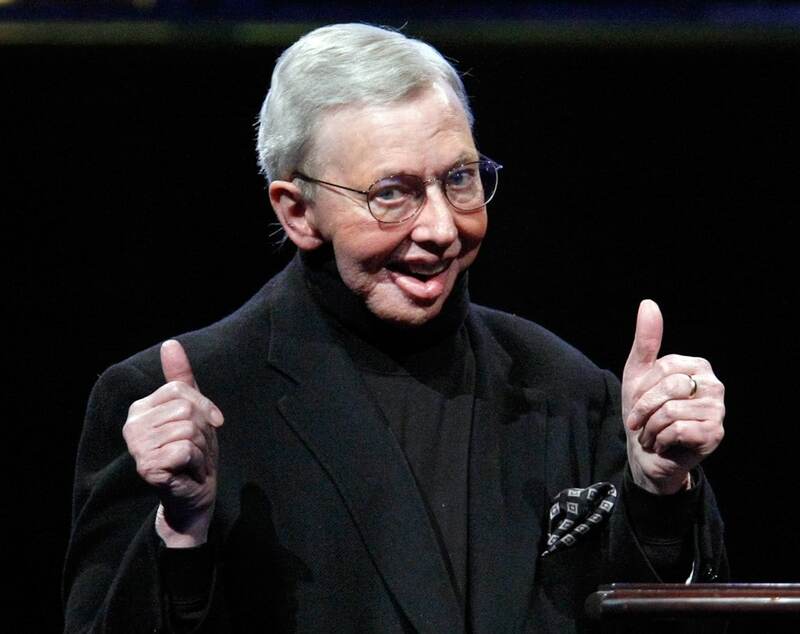 Roger Ebert gives his “two thumbs up” following surgery that removed a portion of his jaw due to cancer of the thyroid and salivary glands. We’ll see you at the movies, Roger! I saw director Oliver Stone “In Conversation” at a nearby arts facility a few weeks ago. During the Q&A period, he called Ebert one of the great film critics. Stone said Ebert always tried to understand what the filmmaker was saying and never took cheap shots.